We’ve put together some guideline prices and fees (below right) for our commercial photography training services to give you an indication of how much we charge. Below are our standard terms and conditions for the supply of our training services. They are separate from our terms and conditions for our normal commercial photography services. We have a separate privacy statement regarding use of this site. If you are not sure about how any aspects of these terms affect our working for you, please just ask. Please do contact us first to discuss exactly what it is you want to achieve from any training session(s). We’re happy to discuss quotations for any international work – we will normally work with multinational companies outside of the UK, via their UK offices. Courses are bespoke and tailored to your actual needs and experience. Keith Cooper is happy to offer equipment purchase advice, if you are unsure of what you already have, or might want to purchase. Whilst we are happy to offer such advice, we do not sell equipment or software, since the independence of our expertise and advice is of importance to us. Once we have discussed your training needs, we will send a registration form for the training session(s) which will include details of course costs, location and time. When we receive the completed registration form, we will confirm booking by returning an invoice to you [Section 2 of the Ts&Cs below]. 1.2 The headings are for convenience only and shall not affect the interpretation of this Agreement. 1.3 If a Customer comprises of more than one person or entity, all obligations of such Customer shall be joint and several as regards such persons and entities. 1.4 Reference to the singular includes the plural and vice versa and reference to a gender includes the other genders unless the context requires otherwise. 2.1 A Registration Form constitutes an offer by Customer to participate on the Course(s) specified in such Registration Form. Such offer shall not be deemed to be accepted by Northlight Images unless and until Northlight Images expressly confirms acceptance in writing through the provision of an invoice to the Customer. 2.2 These General Terms and Conditions shall apply to the Agreement to the exclusion of any other terms and conditions on which any purchase order is placed or purported to be placed by Customer. 2.3 No variation to the Registration Form or these General Terms and Conditions shall be binding unless agreed in writing between the authorised representatives of Northlight Images and Customer. For the avoidance of doubt, no variation to the Registration Form agreed via telephone shall be binding unless confirmed in writing to Customer by Northlight Images. 3.1 The Course Fee is exclusive of any Value Added Tax, which shall be payable in addition by Customer at the rate then prevailing. 3.2 The Course Fee includes soft copies of documentation appropriate to the relevant Course or otherwise specified by Northlight Images. 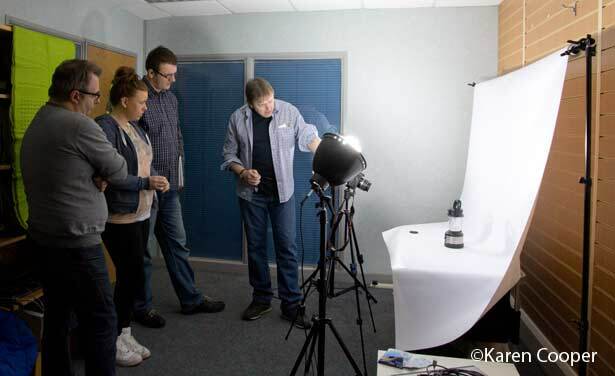 3.3 For Course(s) delivered at Customer’s premises Northlight Images’ reasonable expenses shall be chargeable at cost in addition to the specified Course Fee. 3.4 The time period scheduled for each Course allows for meal and refreshment breaks, questions on aspects of the Course content, however should the Course content be completed within the allocated time period resulting in an early finish, no adjustment will be made by Northlight Images to the Course Fee. 4.1 Northlight Images reserves the right to cancel or re-arrange any allocated dates for Course(s) at any time and for any reason. If a Course is not rearranged by Northlight Images in agreement with Customer, Northlight Images shall provide Customer with a full refund of the relevant Course Fee paid by the Customer for the cancelled Course. 4.2 Customer may with Northlight Images’s agreement and at no additional charge substitute an alternative Attendee. 4.3 Customer may transfer a nominated Attendee to another scheduled date for the relevant Course provided that Northlight Images’ agreement is obtained in writing at least ten (10) business days or such shorter period as Northlight Images may accept in advance of the scheduled Course commencement date. 4.4 Customer may cancel its registration for any Course by providing Northlight Images with a minimum of ten (10) business days’ written notice. 4.6 Cancellation by the customer will incur charges for any non-refundable expenses that Northlight Images may have incurred that are part or whole of expenses included in Northlight Images’ invoice for the Course(s). 4.7 If Customer’s notice for such cancellation is less than the minimum of ten (10) business days, a charge of 20% of the full Course Fee for such Course shall remain chargeable. 5.1 Customer is responsible for advance notification to Northlight Images (within the related section of the Registration Form) of any special requirements relating to the Attendee. Northlight Images will endeavour to accommodate such notified needs if it is considered both reasonable and practical to do so. 5.2 Customer shall ensure that Attendee shall have adequate competence, knowledge and skill to interpret and benefit from the Course(s) provided by Northlight Images. 5.3 Northlight Images reserves the right to exclude Attendee from any Course due to Attendee’s disorderly conduct or failure to fulfil the prerequisites as published by Northlight Images or otherwise notified to Customer. The relevant Course Fee shall remain chargeable to Customer in such circumstances. 5.4.2 the number of Attendees may not exceed the agreed number stated on the invoice without prior agreement with Northlight Images and the payment of any additional fees that may become due. 6.1 Customer is responsible for all travel arrangements, accommodation requirements and other costs incurred by Attendee relating to attendance at Northlight Images’ Course(s). 6.2 Northlight Images UK shall have no responsibility for any non-refundable costs arising under Clause 6.1 and resulting from Course(s) scheduling changes or cancellations howsoever arising. 7.1 Northlight Images will use reasonable endeavours to ensure that the Course(s) provided are dispensed with reasonable skill and care and will follow practices consistent with the professional standards in the industry. 7.2 In relation to the provision of Course(s) by Northlight Images to Customer and subject to Clauses 7.4 and 7.5, Northlight Images’ total liability in contract, tort or otherwise shall not exceed 110% of the Course Fee paid by Customer for the Course in respect of which the claim is made. 7.3 Customer shall indemnify and hold harmless Northlight Images, its officers, directors, agents and employees, from and against all claims, actions, demands, losses, costs, expenses (including, without limitation, all legal fees and disbursements), damages, liabilities and lawsuits arising from any breach of Customer’s obligations under this Agreement. 7.4 Notwithstanding any other provision of this Agreement, Northlight Images does not accept liability for any loss of profits, or goodwill or for any special or indirect or consequential damages arising under this Agreement in delivering the Course(s). 7.5 Neither party excludes or seeks to limit its liability in respect of death or personal injury. 7.6 All conditions and warranties not expressly set forth in this Agreement and whether expressed or implied are excluded to the fullest extent permissible by law. 8.1 The copyright in and all other intellectual property rights relating to the Course(s) software, data and documentation employed by Northlight Images and any related materials (“Course Materials”) provided to Customer hereunder by Northlight Images are owned exclusively by and hereby reserved to Northlight Images and/or its party licensors. Northlight Images hereby grants to Customer a non-exclusive, non-transferable, non-sublicensable licence to use such Course Materials solely for the purpose of receiving the Course(s). 8.2 Under no circumstances may the whole or any part of the Course Materials be produced or copied in any form or by any means or translated into another language by Customer without the prior written permission of Northlight Images. 8.3 Customer shall not delete, amend, alter or deface any confidentiality or proprietary notices on any Course Materials. 8.4 The Customer shall and shall ensure that Attendee shall keep confidential the Course Materials and comply fully with all use restrictions notified to Customer by Northlight Images in relation to Course Materials. 9.1 Northlight Images reserves the right to amend the content of any Course(s) without notice to Customer when, in the opinion of the Northlight Images, such amendment does not fundamentally change the content of such Course(s). 9.2 Neither party shall be held in breach of its obligations hereunder (except in relation to obligations to make payments) nor be liable to the other party for any loss or damage which may be suffered by the other party due to any cause beyond its reasonable control including, without limitation, any act of God, failure, interruption of power supplies, failure of a network(s), flood, drought, lightning or fire, strike, lockout, or other industrial disputes (whether involving the workforce of the party so prevented or of any other party), environmental hazards, acts of terrorism, acts or omissions of Government, highway authorities or other circumstances beyond the control of the parties. 9.3.2 if to the Customer at the address given in the Registration Form or such other address as may have been notified pursuant to this Clause 9.3 to the party giving the notice and shall be deemed received on actual receipt by hand or three (3) business days after posting or next business day after transmission if sent by facsimile. 9.4 If any provision of this Agreement is held by any competent authority to be invalid or unenforceable in whole or in part, the validity of the other provisions and the remainder of the provision in question shall not be affected thereby. In the event of a holding of invalidity so fundamental as to prevent the accomplishment of the purpose of this Agreement, the parties shall immediately commence good faith negotiations to remedy such invalidity, illegality or unenforceability or to achieve an alternative provision acceptable to both parties. 9.5 Neither party has relied on any representation or warranty except as expressly set out in this Agreement and Northlight Images and Customer hereby agree to submit to the exclusive jurisdiction of the English Courts in respect of any dispute in relation to this Agreement. 9.6 This Agreement shall be governed by and interpreted in accordance with the laws of England. 9.7 Save for the interests of Northlight Images’ third party licensor(s) in relation to their respective elements of Course Materials, nothing in this Agreement is intended to be for the benefit of and shall not be enforceable by any person who is not named at the date of this Agreement as a party to it and the provisions of the Contracts (Rights of Third Parties) Act 1999 shall not apply. Northlight Images is a trading name of Northlight IT Ltd., a company registered in England and Wales, No. 3589027.